Yeah, yeah, I know. Seriously. I have no idea myself. All I know is I keep dragging this pattern out of the box, keeping at the top of the stack for a while, and then putting it back. 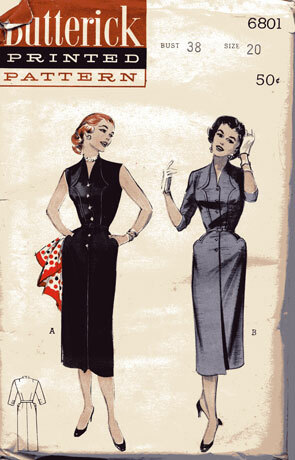 I want to make it because of the pockets, because of the sleeves, because of the neckline, and because of the stitching detail. And of course, it doesn't get made because of that same stitching detail — it just looks too much like work.